Ready to explore your potential? Want a dedicated coach for YOU? Work directly with a certified strength & conditioning coach to get a weekly fitness program that keeps you safe, improves your strength and gets you to your fitness and wellness goals. Looking for a sustainable way to get stronger and thrive? 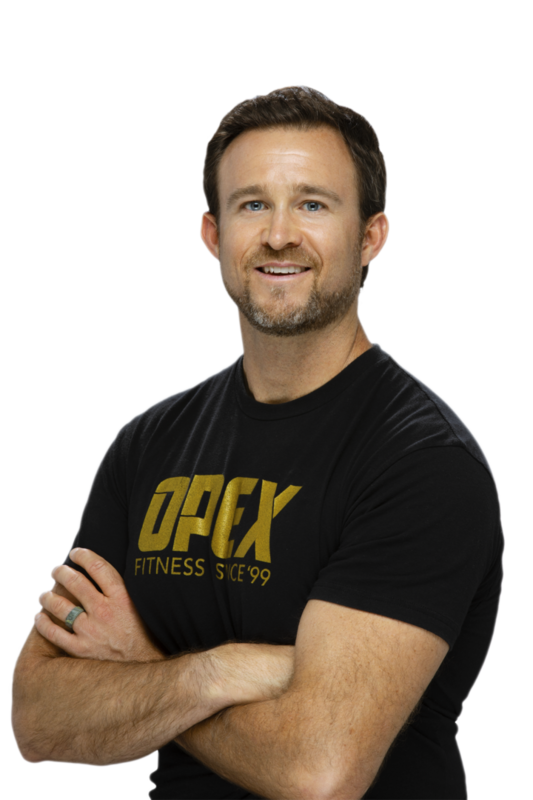 Our preferred partner, OPEX Santa Barbara, delivers individualized fitness programming that is designed to provide you the best results possible by creating commitment and consistency through long term relationships. We have found that through committment, our clients are more likely to acheive their goals and remain dedicated to accomplishing them. Each individual is unique; therefore we believe each person’s program design should be as well. After an inital consultation, followed later by a thorough movement assessment (in person, or video call for remote clients), this will allow you and the coach to determine exactly where to start and where to take your program. Monthly check-ins allow you and the coach to remain on track with your goals, program design, nutrition and address any questions you might have along the way. This means that beyond working closely with our clients on nutrition and exercise protocols, which are required for acheiving serious results, we also dig deeper into the lifestyle component to understand the impacts our everyday choices have on our health and wellness. You will work directly with a certified strength & conditioning coach to ensure that the design of your program involves movements and weight training protocols that will keep you safe, improve your strength and meet you where you are at with your fitness and wellness goals. Your program will be delivered to you on a weekly basis via TrueCoach (a powerful online coaching platform), and your coach will review every workout and provide you accountability and support. Having a coach tailor a program specifically for your needs allows you to achieve results faster and sustainably. Welcome to Individual Program Design, we are glad you are here. Whether you are new to exercise or have been training for years, our certified head coach, David Downey, will interface directly with you to get you the results YOU want.